Timberwolves season preview: So, what do we have here? Finally, it's time to pause the off-court drama and see who shows up this season for the Minnesota Timberwolves. Weeks after Jimmy Butler's unhappiness and trade demands spilled into public view and led to a chaotic practice and controversial ESPN interview, Butler met Sunday with Timberwolves owner Glen Taylor, who assured the disgruntled star the team was actively pursuing trades but still waiting for a good deal. In return, Butler accepted to return to the team and play nice. So as the team gets ready for Wednesday night's season opener against the Spurs in San Antonio, here's a player-by-player breakdown of who needs to do what to make this season more about winning than whining. Staying with the Timberwolves was always a possibility for Butler. No matter what happens in the coming weeks, expect him to deliver full effort on both sides of the ball, while expecting the utmost from his teammates. There's a good chance that Butler gets booed at the home opener on Friday, but he doesn't seem to mind the attention. If Butler learns how to be a leader, maybe, just maybe, Minnesota could right this ship. The biggest question concerning KAT is whether he is prepared to lead this team. When he speaks, you get the sense that he's matured over the years, but he still hasn't committed to doing work on the non-glamorous side of the ball. Towns is among the 15 most offensively gifted basketball players on the planet, and he's recently signed a five-year $190 million contract. The Wolves need him to accelerate his all-around game, if they hope to make the playoffs in a tougher Western Conference. Wiggins is entering the first year of his five-year, $147 million contract but right now he is vastly overpaid. It's the steep price, required of a small market team that doesn't attract big-time free agents. Wiggins has improved defensively but also took several steps backward on offense last year. This year could be more of the same, as he'll most likely continue to concede shots to Butler, KAT, and guards Jeff Teague and Derek Rose. The long-term projection is that Wiggins develops into a top two-way wing. But given his slow development under coach Tom Thibodeau, it may take some time. This season, Wiggins needs to affect the game without the ball in his hands. He needs to rebound more, cut more to the hoop and stop the long-range two-point shots. Also, fans would love to see the return of those thundering Wiggins dunks. Statistically, Teague enjoyed a fine season last year and continued his run of never missing the playoffs. Gifted with a killer floater and sweet shooting touch, Teague's ability to score and space the floor are vital to the team. The former Atlanta Hawks player often struggles with game management though and has been subpar in getting the offense running. Moreover, his efforts on defense can be inconsistent. Gibson functions as a center but is listed as a power forward despite lacking the range required for players at his position. What he lacks in scoring, however, he makes up in hustle, defense, and grit. Taj isn't the perfect fit next to someone as versatile as KAT, but his intangibles make him irreplaceable. Rose came in as a late acquisition last season and quickly regained his former boss' favor. Soon, he replaced Tyus Jones in the guards' pecking order. I'm indifferent on Rose. I don't think he's washed up, but he's not quite the impact player some think. In the playoffs, Rose showed flashes of what he can still bring to the team. When used properly those skills are a great asset. Until he learns to pass the ball, Rose could be a double negative on both offense and defense. In preseason, he started games shooting guard, let's hope this experiment comes to an end. When Nemanja Bjelica left for the Sacramento Kings this summer, many thought the Timberwolves were making a grave mistake. Enter, Anthony Tolliver. Whereas Bjelica was hesitant to shoot threes, Tolliver is the opposite. If he has the slightest bit of space, the big man will let it fly from behind the arc. Tolliver shot 44 percent from the three-point line in Detroit last year. In his second stint with the Wolves, I see no reason for him to slow down now. When Jones replaced Teague in the starting unit, the defense tightened up and the offense scored more efficiently. Jones is an old-school floor general, something rare in today's game. The former Duke University standout and Apple Valley High School star is short for his position and doesn't offer much explosiveness, but his basketball IQ is off the charts. Though there is a logjam at point, this is a big year for Jones. He is playing for a contract extension, while auditioning for a bigger role with the Wolves or another team. 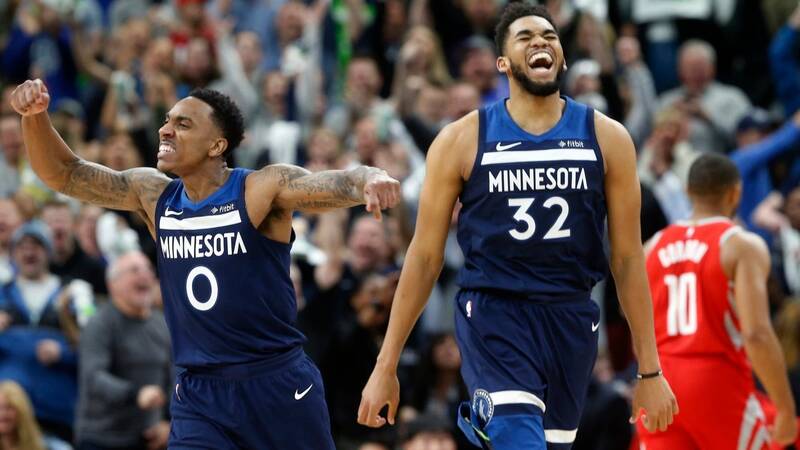 Don't be startled if a team like the Spurs or the Phoenix Suns, who are desperate for a point guard, make the Timberwolves an offer they can't refuse. The Wolves would be smart to extend him, though. It could be Taylor's best public relations coup this season. Rookie Josh Okogie is fun, full of energy and hustle. The Georgia Tech product is an NBA-ready defender, with room to grow on offense. While Thibs doesn't like playing rookies, let alone his bench, don't be surprised if Okogie becomes one of the first names called off the bench. At 22, former Ohio State Buckeye and Big Ten player of the year is a very polished rookie. KBD has long arms, is extremely savvy, and provides versatility with his playmaking and shooting abilities. Bates-Diop might be the steal of the draft and with time could establish himself as an X-factor with the Wolves.